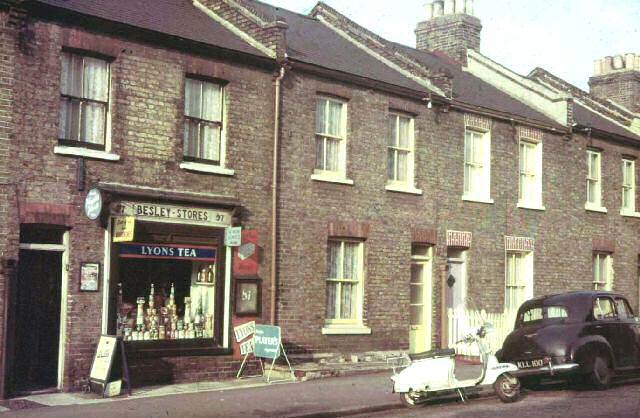 Much of the flavour of suburban Streatham can be seen in this photograph of Besley Stores taken by David Bradley. 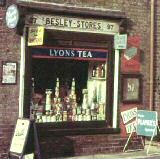 Small, family owned shops, all featuring prominent tobacco advertising, were yet to be wiped out by the supermarket chains and there are no TV aerials to be seen. Motor scooters were very popular because they were "trendy" and relatively cheap, not because they provided an escape from traffic queues. 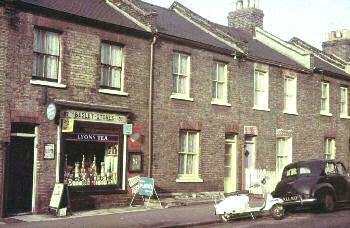 The scooter in the picture is mine [a Lambretta] and in 1961 cost £175 new. I used it to travel to work in Leicester Square from Thornton Heath. A monthly season ticket at the time was £4.40 (£4.8.0p) whereas the running cost of the scooter was around a gallon a week, then costing about 40p (8/-) In having the scooter, what was particularly noticeable was the substantial reduction in journey times, particularly if a change of routes was necessary, or a long walk at either end of the trip. At the time, the mini had not long been introduced and some of my friends could actually afford one at the £440 price tag. Television in 1961 was for most people just one channel, and was in black and white at that! The aerial required was a large 'H' shape and it is possible that the chimneys of these properties were not strong enough for such an aerial. To pick up the new commercial TV channel available at the time you either had to buy a new television or use at set top onversion unit and a adaptation to the existing aerial or an additional one. My girlfriend lived at number 95 and we meet at Streatham Ice Rink; because of my fond memories of the association of the rink and the young lady, it saddens me that in 2004 it will disappear from the landscape. You can no longer drive past these houses because the properties are now in a cul-de-sac but both exist to this day, although number 97 has been converted back to total residential use.